Any use - or misuse - of information / data presented on this website is completely at the user's own risk. 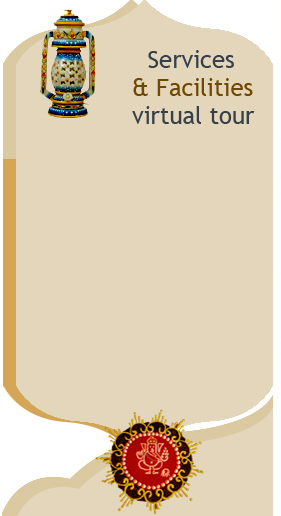 Before using any information / data the user must check the relevant details regarding the authenticity, practicality, usability, risks associated etc. and must ensure that its usage is in accordance with legal regulations, legislations etc. Links to other website from this website does not mean that we approve or take any responsibility for the information / data / material provided on the linked websites. For all documents, pictures and information available on this website, Hotel Apano Rajasthan does not warrant or assume any legal liability or responsibility for the accuracy, completeness or usefulness of any information / data / material. By accessing this website, you acknowledge that any reliance upon any material or information provided on this website shall be at your sole risk. 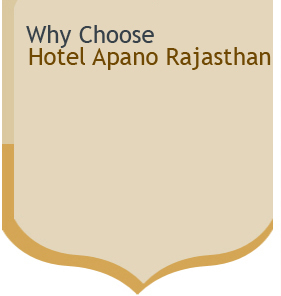 Hotel Apano Rajasthan reserves the right in its sole discretion and without any obligation or explanation, to make changes, correct or delete any presented information / document / picture / material without prior notice.